Pointless petition… at least, can it be taken into consideration? I’ve installed the current build and «fired it up». I’m really happy, on how the development is going on. About the ships; overall I really like the «design» of the models; specially the latest ones. My favorite is the ‘bomber’… superb lines and a very beautiful, «industrial design». My suggestion is about the «fighter»… the design is nice but, very bulky with its side engines! I really like the one, from the «tech demo»… I find it an «iconic symbol» of Infinity. Maybe a simpler, «turtle» style shape? You realise the current one isn’t textured yet? As an aside, personally I’ve been finding your liberal and apparently inconsistent use of guillemets and single quotes makes your posts harder to read. Would you consider sticking to more conventional punctuation? I have no clue what any of those marks are supposed to mean. 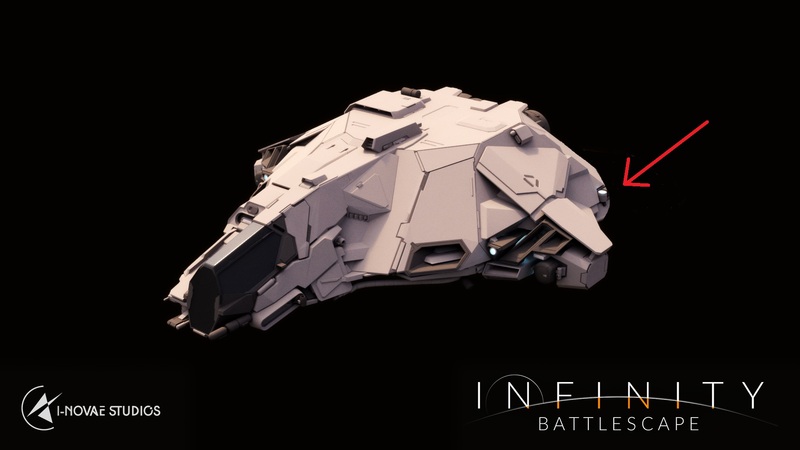 The possibility of the Hellion (the ship in the image, which i agree is beautiful) coming back in some role was talked about in the discord awhile ago, basically the answer is maybe, but it’d need to get brought up to the recent art standards and the devs have a lot on their plate already on a small budget as is. I’m sorry; my poor and rusty English… my crazy translation application. Yes. I was referring to the ‘Hellion’… I really like the design and for me, she is a symbol of Infinity. 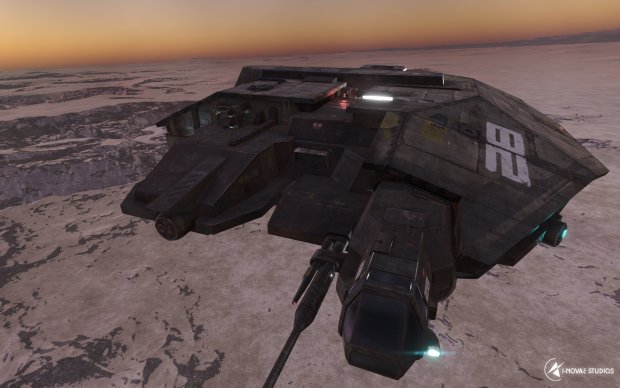 As @mattk50 mentioned it’s possible the Hellion will come back at some point after the game ships to retail however the ships we already have will be the ones we release the game with. I really like the design and for me, she is a symbol of Infinity. True, that design had a special charm, maybe because its so close to the millenium falcon. I would like to see the Hellion return, but only after everything else is sorted. Please don’t stop posting your ideas. It’s not useless at all! Your English/translation is very good… the only thing is If you could use less guillemets (« and ») it might make your posts a bit easier to read. Funny story, the old ‘fighter’ you posted there was actually the design for the old corvette. It’s much bigger than you think it is.